Welcome, and thank you for visiting us at American Drain online; your South Jersey plumber of choice! 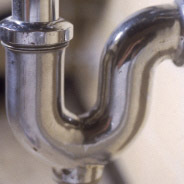 When you need a plumber in South Jersey, for any plumbing related installation or repair, we are the company to call. American Drain, a family owned and operated company, has been offering plumbing and sewer services to the South Jersey area since 1982. We specialize in getting any sewer or plumbing job done promptly. All of our work is guaranteed, and our customer service can't be beat. Copyright (c) AmericanDrainLLC.com. All rights reserved.